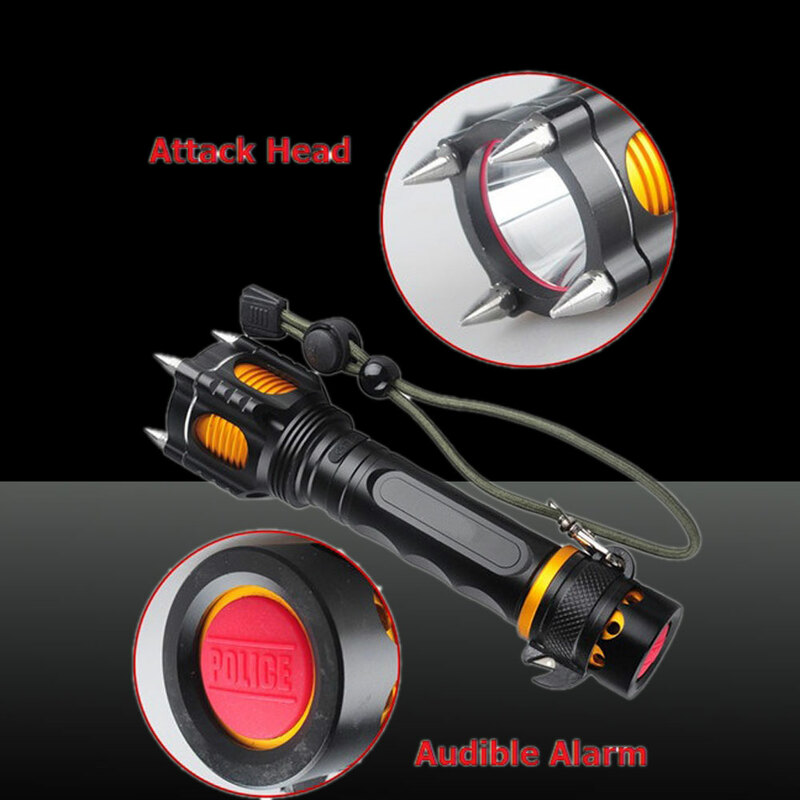 We would like to recommend this T6 2000lm Attack Heads + Audible Alarm LED White Flashlight to you. Adopting LED bulb, this flashlight is super bright, efficient and energy-saving, which will meet your need of lighting in dark. 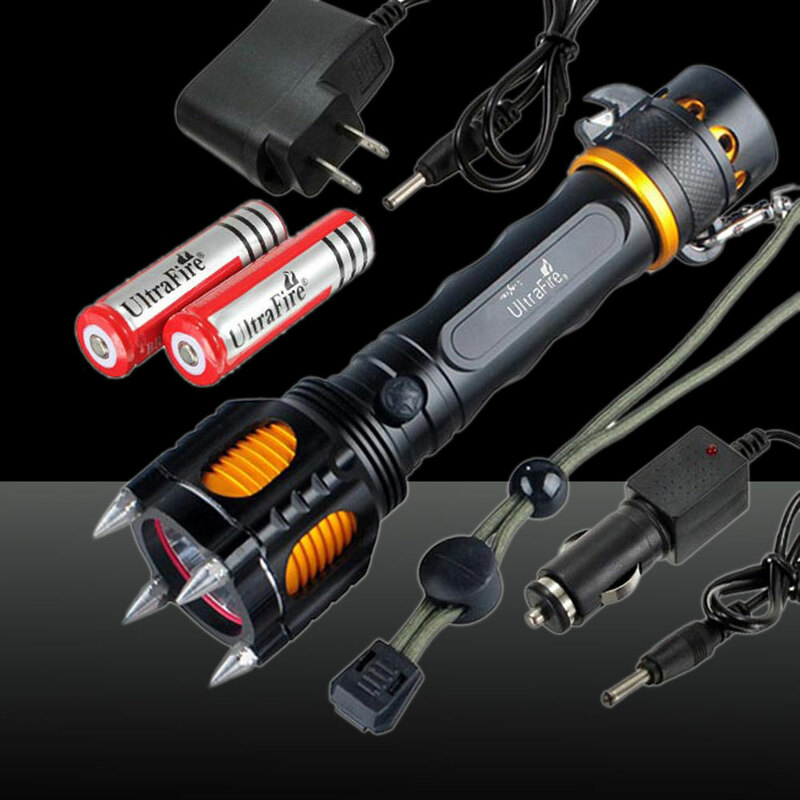 Made of high quality aluminum alloy material and with meticulous craftsmanship, this flashlight is with long service life. 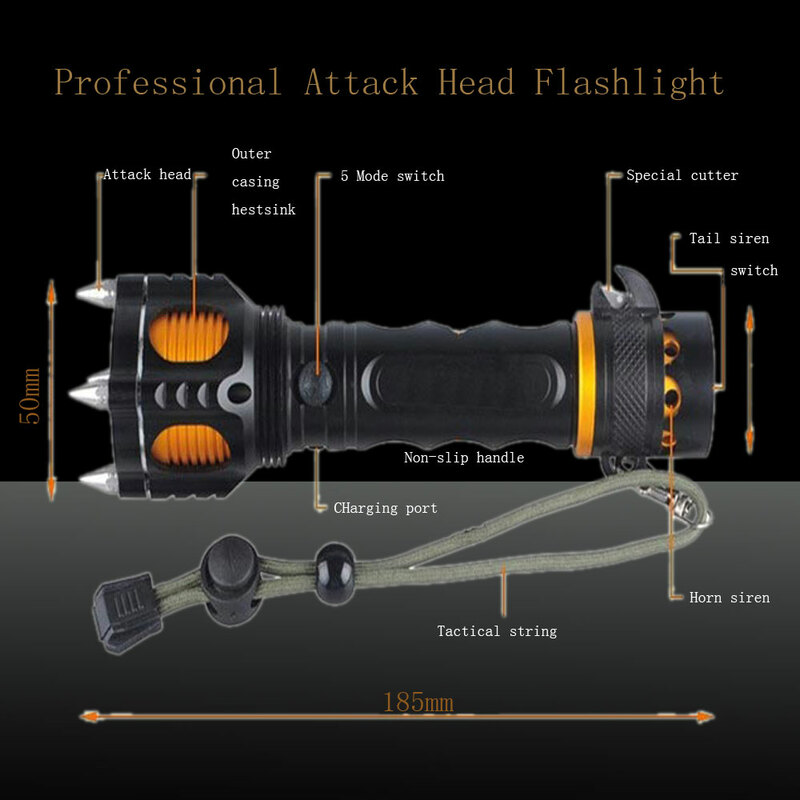 In addition, this wonderful flashlight is also suitable for home use, camping, mountaineering, or other outdoor sports. Easy to use, this flashlight features 5-mode design that the brightness could be adjusted according to your need! My order arrived in the expected delivery time! 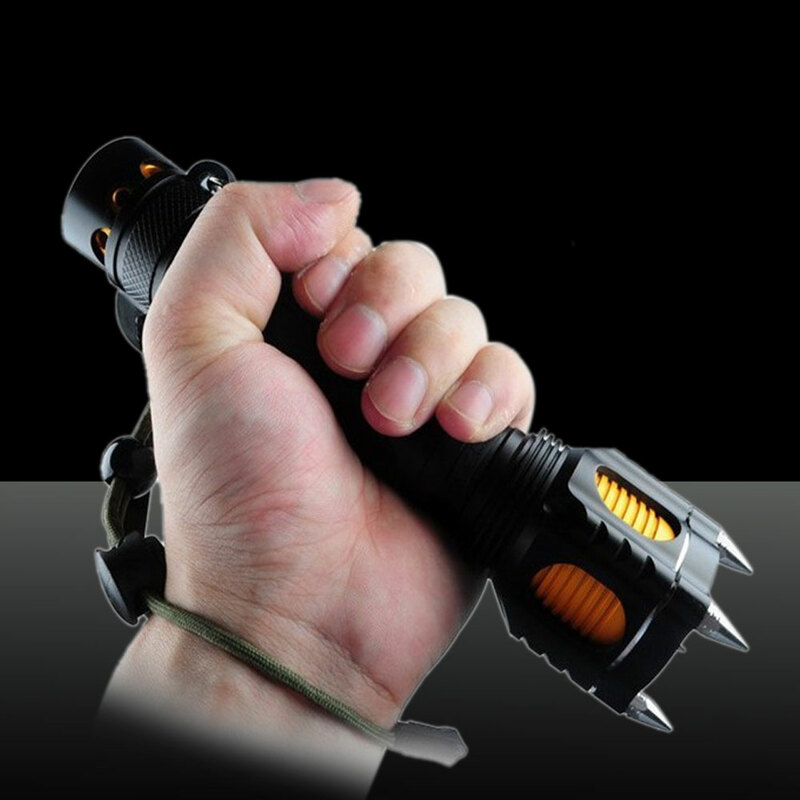 Wonderful flashlight!It is very practical for outdoor use. The appearance is very cool.The product is consistent with the description on the website.I will recommend it to my friends.